Last week, I ordered the Nexus One during Google’s event, before the invited attendees got their free review units. Google shipped the phone by free FedEx overnight, so I began using the so-called “superphone” on Wednesday (January 6). Google impressed with the simple ordering process and prompt delivery. I would recommend the Nexus One over iPhone to most anyone. While I’m no fan of Nexus One’s industrial design, the phone satisfies in most of the important ways: Call quality, user interface responsiveness, overall speed of the device, 3G telephony and data reception, ease of typing on touchscreen, and applications availability. Google and HTC have put together a simply satisfying smartphone. Google is only selling its phone direct, which is a new channel for the company. The current model is solely supported by T-Mobile USA, which is the country’s fourth-largest carrier. T-Mobile subscribers will pay $529 for unsubsidized and unlocked Nexus One. New subscribers can buy a subsidized device for $179, with two-year commitment. As a journalist, I have unique needs. I plan on doing much more with digital content over the coming months. Having a phone that takes adequate photos, shoots quality videos, and captures Web-quality audio (if not better) is important to me. For those functions, the Nokia N97 satisfied, but the broader phone experience frustrated. I replaced the N97 with the N900, which is fun and fast to use, but I’m not as satisfied with photo or video-capture capabilities compared to other Nokia devices. By the specs, both the Nexus One and N900 offer more digital content capture capabilities than iPhone 3G or 3GS: 5-megapixel camera with LED flash and HD-quality video. Google’s Android 2.1 and Nokia’s Maemo 5 operating systems both allow background applications and provide multiple widgetized desktops, features not available on iPhone 3G or 3GS. Both devices support T-Mobile’s 3G network, which real speed is faster than AT&T’s 3G network. I’ll either return the Nexus One for refund or sell the N900. Much as I like the Nokia, however, the “superphone” is more future- and feature-proof because of Google’s capacity to deliver meaningful, contextually relevant information and utility to end users. 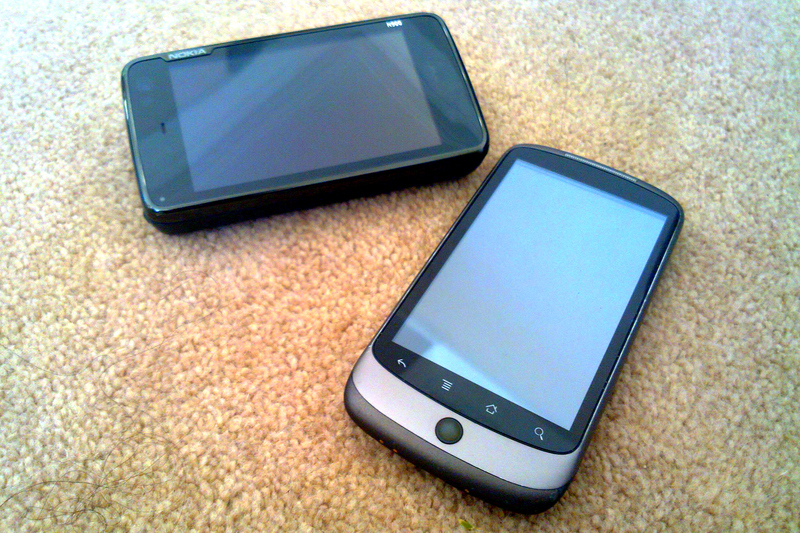 Nexus One and its successors, assuming there are any, is primed for cloud services and voice computing (aka Star Trek). My wife is getting Nexus One, too, so what does that say about its future in the Wilcox household? Editor’s Note: This story was pulled from archives and reposted on Aug. 31, 2018 with the original date.